Ahmad Ali Zia, the Director HR at Unilever visited Lahore School of Economics on February 14, 2012 and gave a talk to MBA, MSc Economics and BBA/BSc (Hons) students in the Amjad Chaudhry Library at the Main Campus. 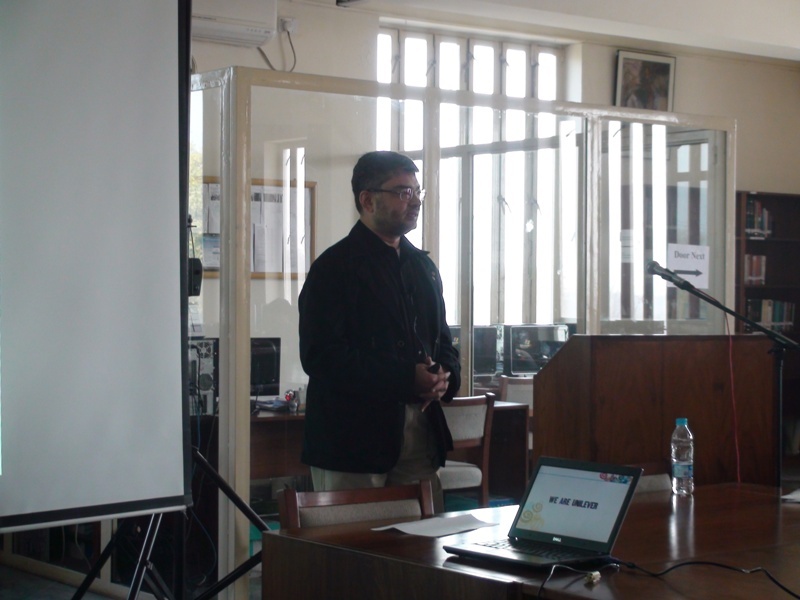 Ahmad Ali Zia discussed HR practices at Unilever and also shared his personal experiences in the corporate sector. It was a pep talk for most of the students who were preparing themselves for the test to join Unilever’s Summer Internship Program and the Management Trainee Program for the same year. Lahore School of Economics organized a great homecoming for Lahore School alumni from all over Pakistan on February 12, 2012 at Burki Campus. Large number of alumnus, students and faculty along with their families got together. 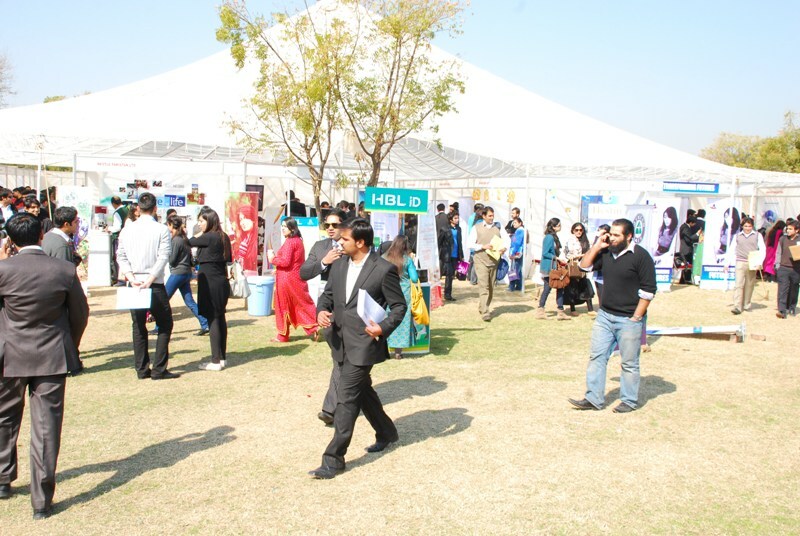 Lahore School has a large alumni base and homecoming offers an opportunity for alumni to see the developments back home in addition to exchanging views with faculty and sharing their own experiences from the corporate world. 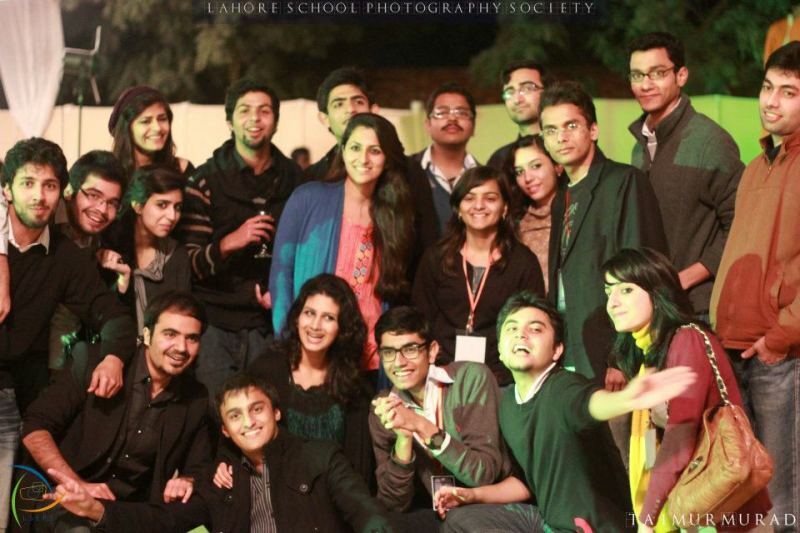 Homecoming also provides an opportunity to Lahore School to see how the School graduates are doing in practical life. 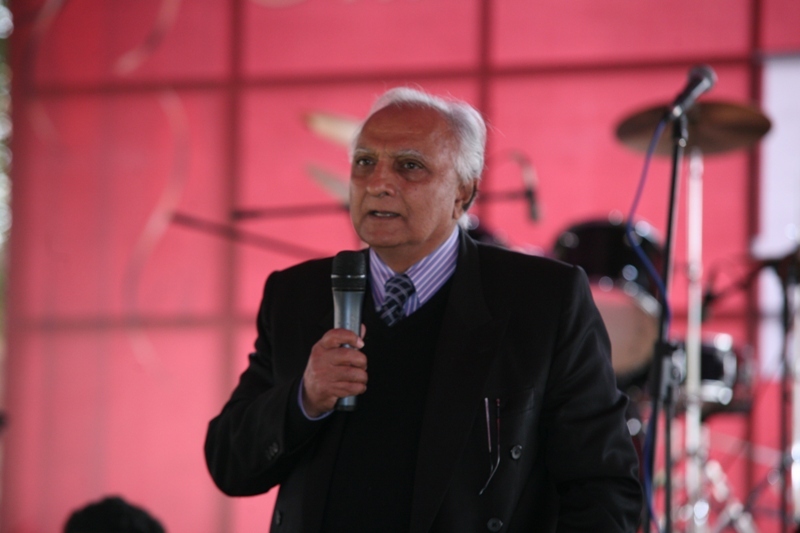 Dr. Shahid Amjad Chaudhry, the Rector Lahore School of Economics welcomed the alumni and gave a broad overview of the activities in the Lahore School. 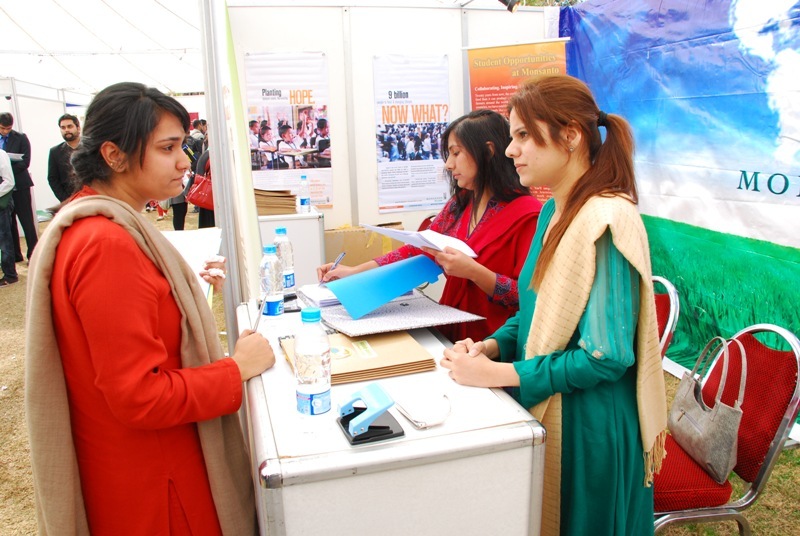 “All our graduates have been well placed at very good salary packages,” the Rector informed the audience. 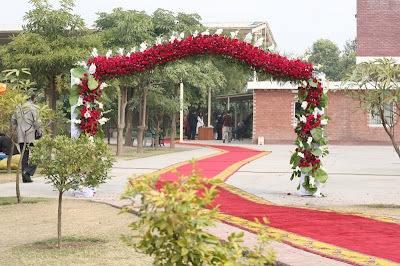 In the beginning of spring season, Burki Campus is always its best. 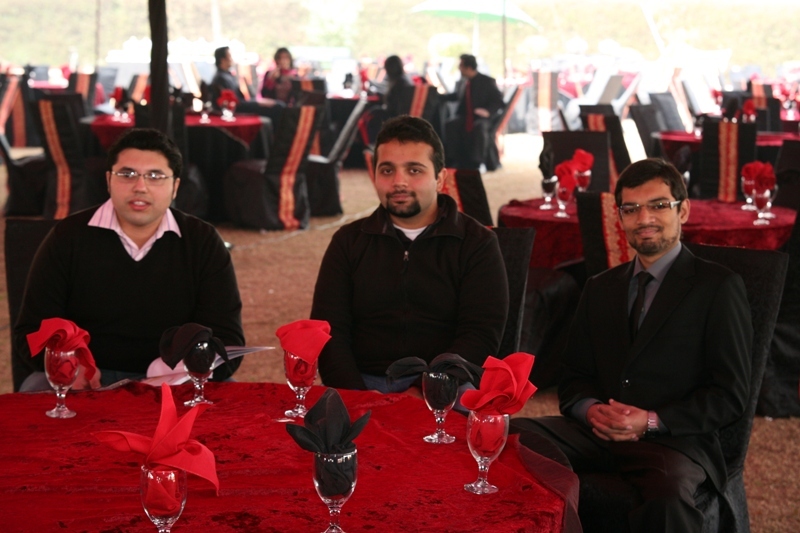 Shumila Garden was tastefully decorated in red and black – the dress code for the event. The Lahore School of Economics Association of Debaters (LSEAD)’s sixth Annual Debate Competition ended on a high and energetic note with speakers from GCU, Fast (Lahore), UCL and LGS Paragon verbally battling it out to take home the trophy at the Garden Café on February 7, 2012. Dr. Shahid Amjad Chaudhry, the Rector Lahore School who attended the finals praised the standard and quality of speeches during the Lahore School Debates 2012. 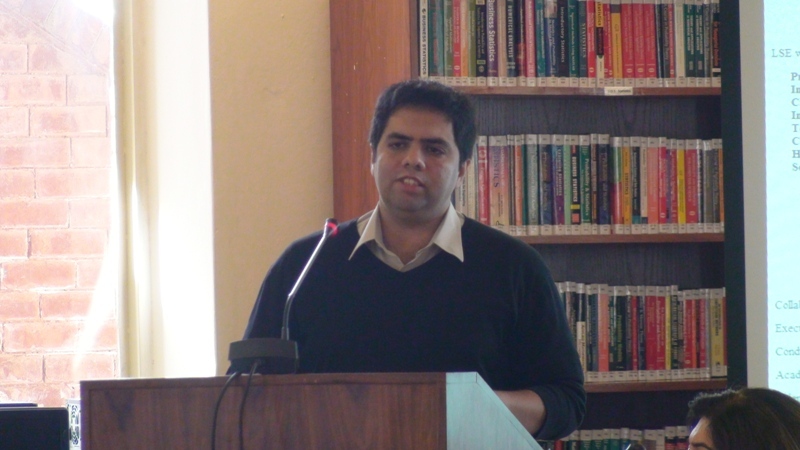 The Urdu Parliamentary Finals discussed the motion ‘This House Believes the Democracy is not For Asia’, with GCU proposing the motion, and FAST opposing it. Fast students defeated the proposition in a split decision and were able to not only bag the winning trophy, but also took home the Best Speaker award. 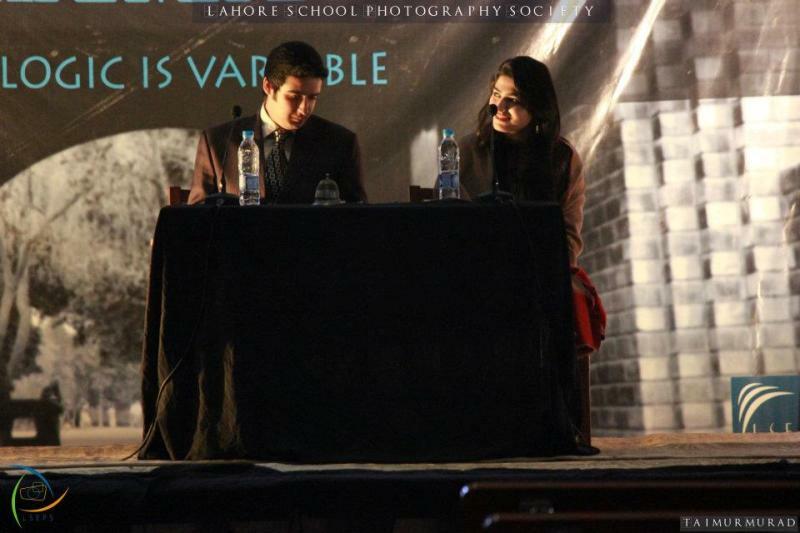 Over 30 teams took on the challenge on trying to win the Lahore School Debates trophy. 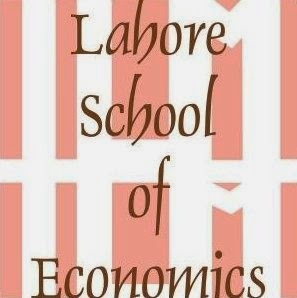 The Lahore School of Economic Association of Debaters is helding its sixth annual Lahore School Debate this week (February 3 - 7, 2012). Theme of the debates this year is Logic is Variable. 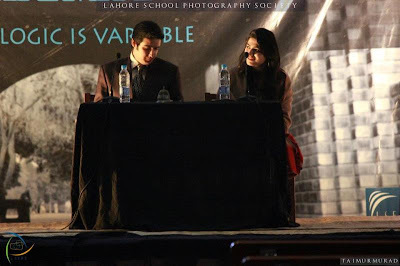 Teams from 40 schools and 15 universities from across the country have gathered at the Lahore School Burki campus to compete in categories of English Parliamentary, Urdu Parliamentary and Declamations. Enthralling debates on wide spanning topics which addressed numerous pertinent issues such as religious intolerance, third world disparity and culture among many others are being debated during the week. The declamation contest ended on a high note on Sunday with PAF Risalpur and UET capturing individual prizes and the Government College University bagging the team trophy. The parliamentary section of the tournament continues. 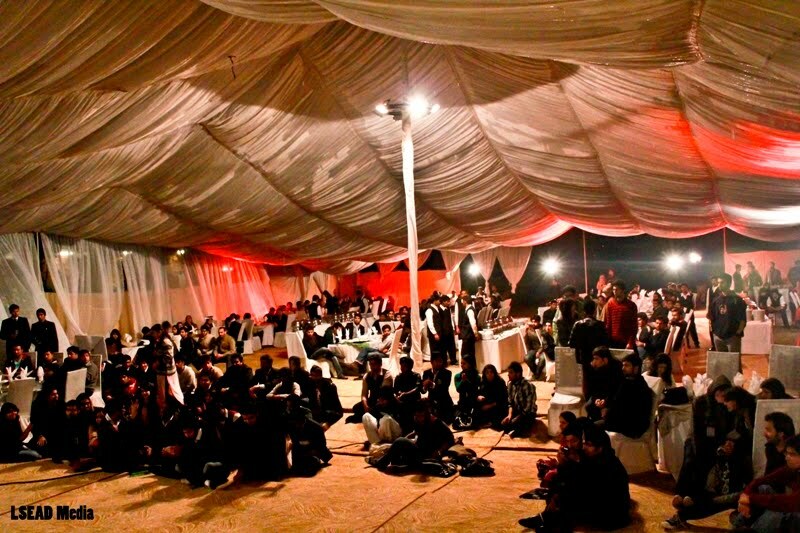 Teams from LUMS, UCL, LGS Paragon, LGS Defense and LACAS will contest for semi finals and finals. On the sidelines of debates, there were formal dinner and performances from a Percussionist band and a Sufi troupe. Lahore School Vision, Mission and Values workshop was held on February 1, 2012. 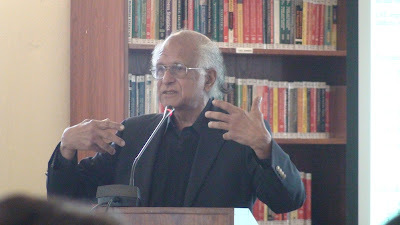 Dr. Tariq Husain, former Director of the World Bank and Consultant to the Lahore School of Economics, conducted the workshop with the objective of deliberating and redeveloping a vision and mission statement for the Lahore School, and finalize the values that the institute wanted to instill in the students, faculty and staff. After an introductory discussion, the audience was divided into three groups. These groups broke off to discuss the proposed vision and mission statement and the values. 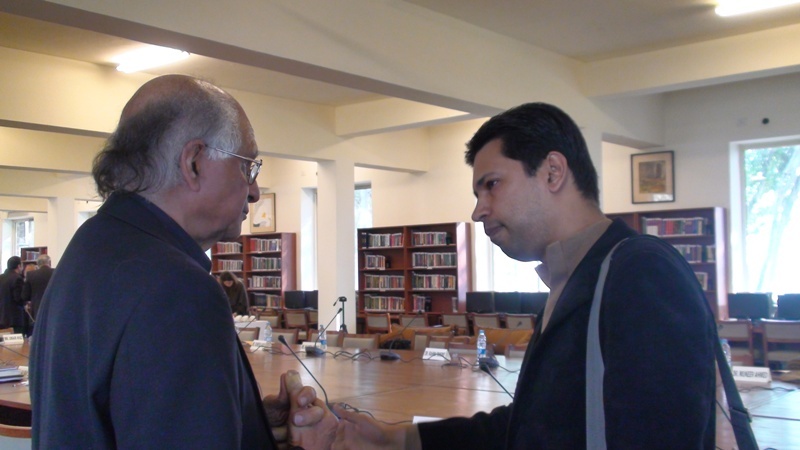 They discussed various aspects of the Lahore School and what they felt was required to make it a ‘leading university’ for others to follow. Roohi Raees Khan, Acting President of Zarai Taraqiati Bank visited Lahore School of Economics and gave a lecture to the students of MBA on February 2, 2012. 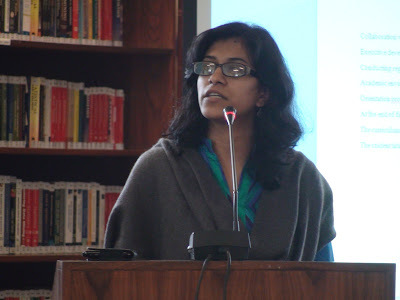 Ms Khan highlighted the problems that marred the Agriculture sector in Pakistan in terms of credit distribution to the farmers of the country. She also gave a worldwide perspective on how this sector is dealt with in other countries. 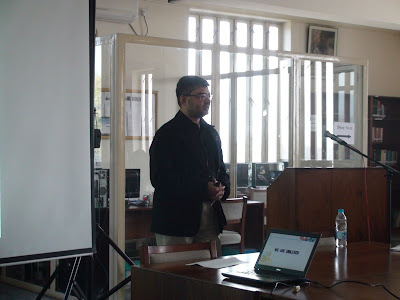 Lahore School of Economics paid rich tribute to Prof. Abdus Salam - Pakistani Nobel Laureate - in a special session held in Amjad Chaudhry Library at Burki Campus on January 31, 2012. Dr Shahid Amjad Chaudhry, Shoaib Ahmad, Tariq Abdullah, Parvez Hoodbhoy, A. H. Nayar and Anis Aslam threw light on the life and achievement of the laureate. 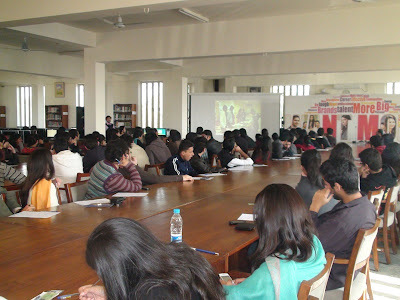 A documentary was also shown in the session that was attended by the faculty and students of Lahore School of Economics.